They eat mash, bread, milk, fruits and vegetables. We will bring them to the store for you to pick up. Peeps - We begin hatching in December and will have new batches of peeps every 10 days all the way into early August. 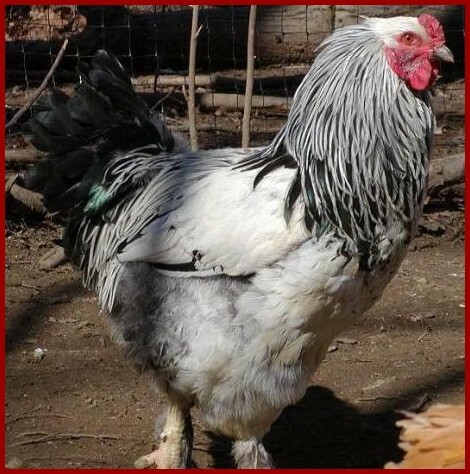 They are mostly heavy-breed brown egg layers and roosters, with a goodly number of bantam chicks thrown in. 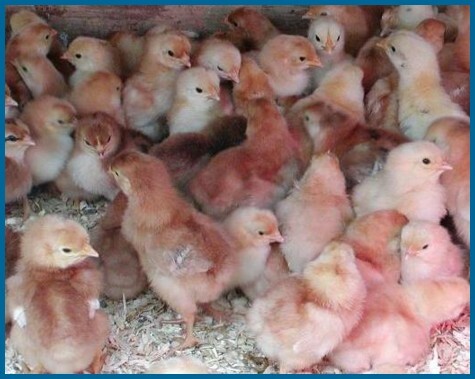 We usually can't tell them apart until they are a few weeks old, so if you want the fun of raising some chicks but don't want roosters, get some...then we can trade you girls for boys if you end up with the wrong ones. 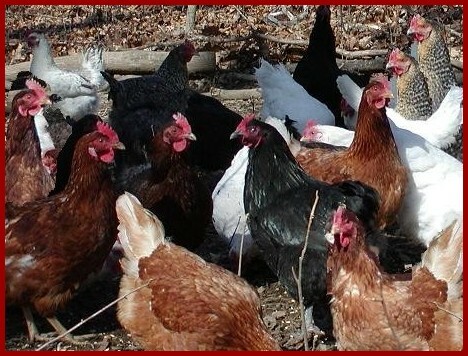 Roosters - We have a steady quantity of various heavy-breed roosters year 'round. These roosters are NOT fighting roosters - they just sit around and act like farm chickens, crow a lot, make baby peeps, eat bugs, and scratch the ground. We have a variety of colors. Guineas - Great for tick control, they are noisy little buggers and make excellent watchdogs! They are also very pretty as well as very entertaining. They lay well from May through September. We have keets from May through September, then mostly adults and zillions of teenagers through the winter. Feed - NEW! we have certified organic layer pellets for sale in the store in 50lb, 25lb, and 6lb bags.